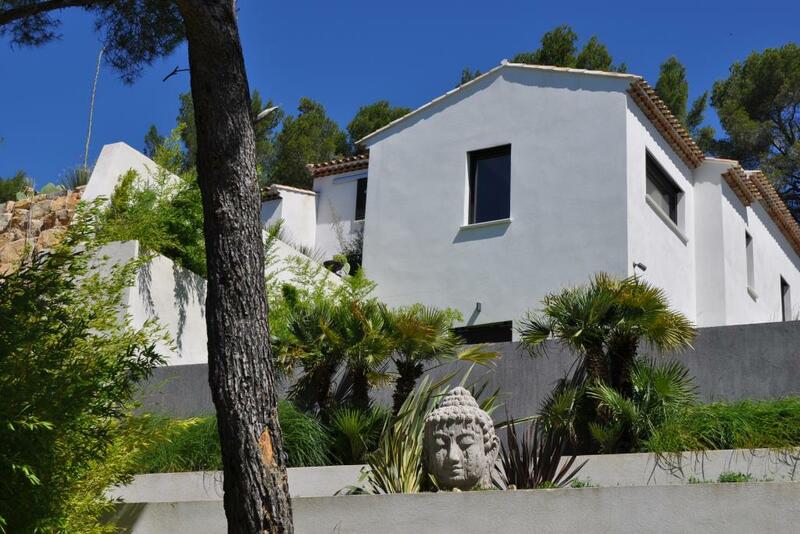 Saint Marc Jaumegarde, 3 km from the center of the town, a magnificent contemporary house offering a generous 400m2 on a landscaped plot of 4000m2. It boasts a vast reception room of 100m2 with a beautiful fireplace, a stunning fitted and equipped kitchen where any chef would feel at home, 4 bedrooms including a ground floor parental suite, a large office, a large games room, a home cinema, utility room. An infinity pool and a spacious fully equipped pool house and finally a jacuzzi, the grounds offer stunning open countryside views.